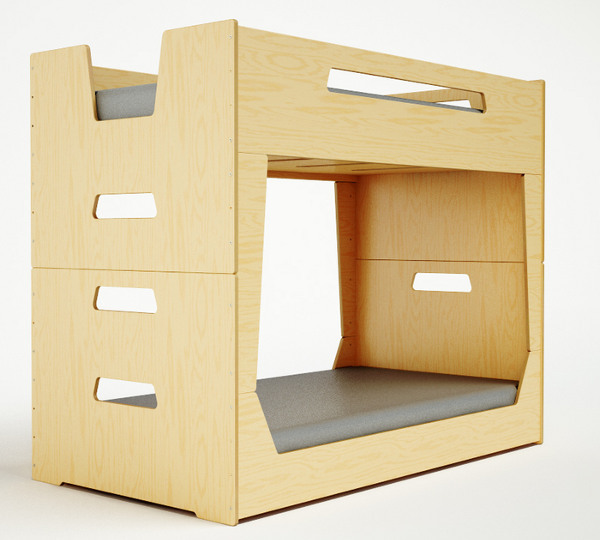 Here’s a modern, convertible bunk bed that might just take your breath away. 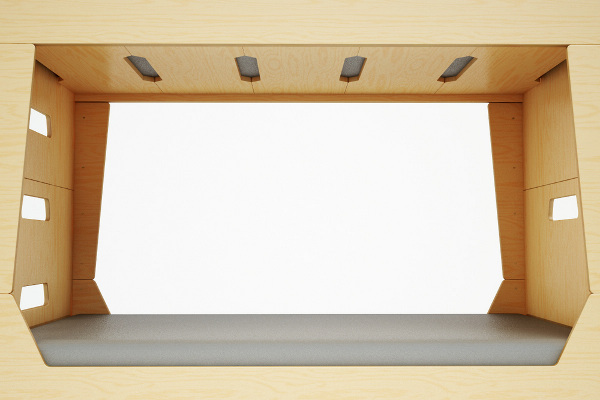 The most recent offering in bunk beds from Brooklyn-based Casa Kids is not only sleek and space-conscious, it’s also their most affordable and most compact bunk bed yet. We have of course been aware of Casa Kids since way back in 2008, when we first came across their nursery furniture. Just a year later, they wowed us with their loft beds, and a quick glance around the gallery at their website shows how busy they’ve been since then. The combination of the rise in apartment and small house living, and the sheer amount of stuff that comes along when you have kids in your house, means that space is at a premium in many homes today. And after all, who doesn’t want to use their space wisely? The LoLo bunks from Casa Kids appeal on just this basis, but of course, they’re also fairly easy on the eye! A lowline bunk bed, the LoLo can also be separated into twin beds and both of those beds can be fitted with either a trundle or a set of three drawers (sold separately). No space has been wasted here – I love the integrated ladder and side rails, as well as the cosiness of that lower bunk. The LoLo is US$1600, and no, they don’t ship outside the mainland USA – you’ll need a forwarder or a very good friend! While we’re at it, I really need to make mention of the brand new Mini Parker – the first ever Casa Kids doll bed, which is pretty much a miniature version of the LoLo. Check it out and see if you don’t just fall over from the cuteness. Happy browsing Babyologists. I’m off to do some freight forwarding calculations.